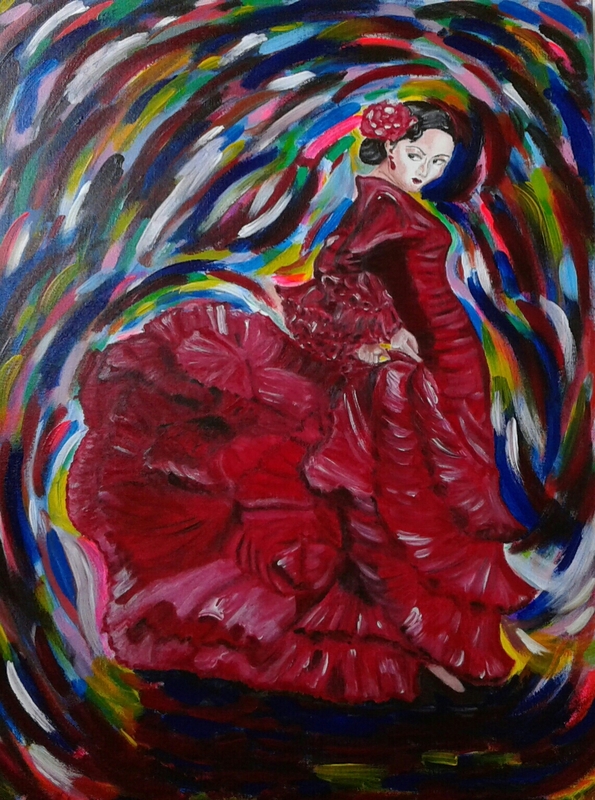 Because I love the fiery passion of Flamenco, the beautiful dance from Spain, I made a series of paintings. This is the second one. Very different colours, but just as bright and energetic. Size 60 x 80 cm (24 x 32 inch). Acrylic on canvas. Don’t you just love the fiery passion of Flamenco, the beautiful dance from Spain. I do for sure and maybe one day I should try it!